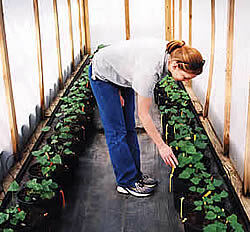 Work done in the North Carolina State University Micropropagation Unit and Repository (MPUR) has been instrumental in revitalizing the North Carolina sweet potato industry. Today, virtually all the sweet potatoes grown in North Carolina and much of the rest of the country originate in the labs of the MPUR. In the mid-1990s, North Carolina sweet potato growers were in trouble. Sweet potato mutations and diseases, such as russet crack, caused low yields and poor quality in North Carolina’s sweet potato crop. These quality problems caused North Carolina to lose market share to other sweet potato growing regions in the country. 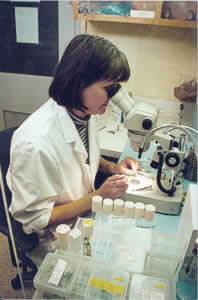 Growers looked to NC State’s pathology department to come up with a solution. The answer came with the establishment of the MPUR in 1996. 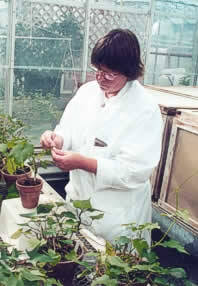 Dr. Zvezdana Pesic-van Esbroeck, the director of the MPUR built the micropropagation unit that exists today. 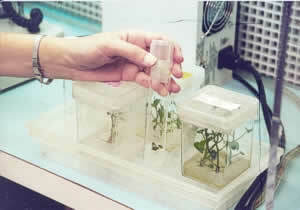 Mericlones produced in the MPUR are virus tested and true-to-type “nuclear stock mother plants”. 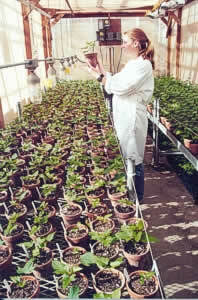 Cuttings of these plants are sold only to certified sweet potato greenhouse nurseries like Jones Family Farms. These nurseries grow and take cuttings from the plants, eventually turning thousands of plants into millions of plants that are sold to sweet potato growers in North Carolina and across the country. The MPUR and Jones Family Farms work closely with Dr. Darryl Bowman of the NC Crop Improvement Association to assure that certified, true-to-type, disease-free plants are available to the industry. 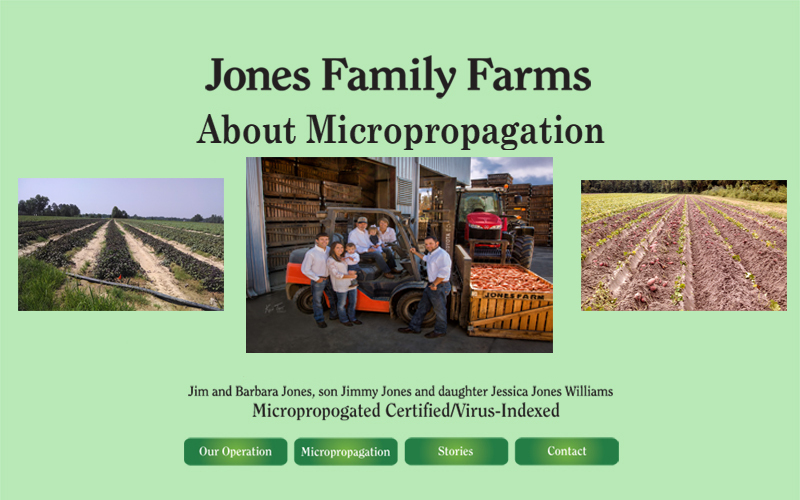 Jones Family Farms considers several sweet potato and blackberry industry leaders as team members in advising and working with them to provide the most superior plants and cuttings to both sweet potato and blackberry growers. Jim considers his sweet potato team to include the MPUR’s director, Dr. Zvezdana Pesic-van Esbroeck, and two NC State horticulture/sweet potato plant breeders, Dr. Ken Pecota and Dr. Craig Yencho..
Barbara has also worked closely with experts who are part of her blackberry team: the MPUR Director, Dr. Pesic-van Esbroeck, Dr. Gina Fernandez and Dr. Jim Ballington, both NC State University horticulture/bramble breeders, as well as Dr. John Clark, a University of Arkansas horticulture/plant breeder.